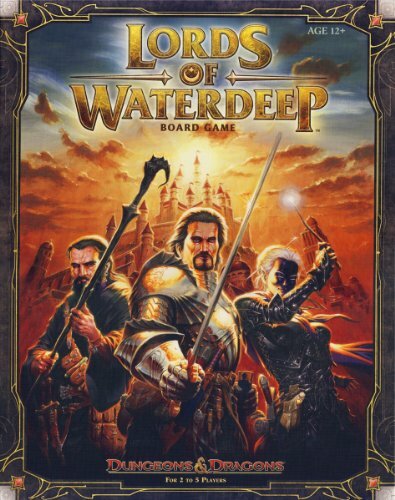 The Lords of Waterdeep (LoW) is hands-down one of my favorite board games. It is easy to learn, fun to play, and has enough complexity to interest experienced players while remaining approachable for new gamers. LoW also has a special place in my heart because it is the game that renewed my passion for board gaming and inspiring me to create BoardGamesEnhanced.com (BGE). With BGE entering its 3yr year, it is a bit ironic that I have never taken the time to enhance my own copy of LoW. So, over the next few weeks, I am going to give my copy a full upgrade, pair it with craft beer, and invite some friends over for a game night featuring LoW, all of which you can read about right here on BGE. To celebrate 3 years of BGE, I’m not only going to showcase my LoW enhancements, I’m also going to give away a new copy of the game. That’s right, by entering the Gleam contest described below, you could have a free copy of LoW to enhance along with me or introduce friends to the fantastic world of board gaming.